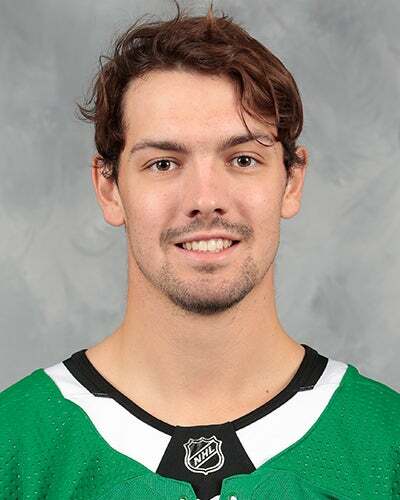 Signed a three-year, entry-level contract with the NHL's Dallas Stars on April 19, 2014. Signed a one-year, two-way conract extension with the NHL's Dallas Stars on July 12, 2018. Won a gold medal with Team Canada in the 2013 IIHF U18 World Junior Championships, going 5-0-0 with a 0.80 GAA and a .970 SV% in the tournament. Stopped 33 shots in the gold medal game against Team USA. Appeared in the 2015 Memorial Cup, going 1-2-0 with a 3.23 GAA and .899 SV%. In 2014-15, won the Jacque Plante Trophy for leading the QMJHL with a 2.50 GAA. Named the CHL's 2014-15 Goaltender of the Year, posting a 29-9-3 record, a 2.50 GAA and .901 SV%. Made a career-high 48 saves on January 9, 2015 vs. the Chicago Wolves in a 5-2 win. Earned his first career AHL shutout on April 14, 2017 at San Antonio with 29 saves (1-0 win).